A Checklist of Birds of the California Channel Islands is the most up-to-date and comprehensive annotated list of the avifauna of the California Channel Islands, an eight island archipelago off the coast of Southern California. A compilation of more than 40 years of study, the checklist provides information on the distribution, seasonal status, and abundance of the 422 species, both native and non-native, that reside or have otherwise occurred on the Channel Islands since the mid-1800s. Annotations include current and former breeding status, seasonal status and abundance, and for rare species, specific dates of occurrence. 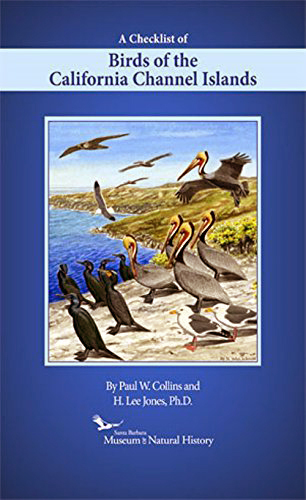 This is a “must have publication” for ornithologists, paleontologists, archaeologists, ecologists, environmental scientists, resource managers, natural historians, and birders who are interested in the fauna of the Channel Islands.